Southern California parks are geared up and ready to offer you and your family an awesome Mother’s Day weekend……check out what is planned for Mom and the family! 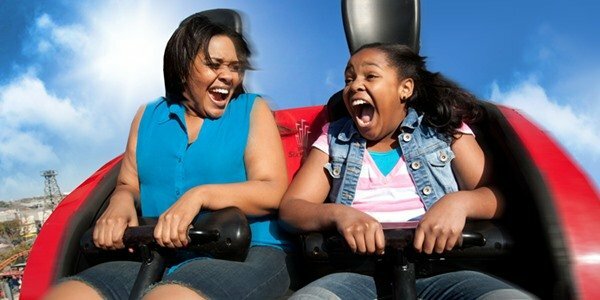 Celebrate the women Super Heroes in your life during Mother’s Day Weekend at Six Flags on May​ 13 & 14. There’s nothing moms love more than quality time with family so now is your chance to treat mom to a special day. Just in time for Mother’s Day, Apocalypse is reopened, with a new track and a smooth ride, perfect for Mom’s special day. You made it past the security checkpoint and high tech monitors explaining your assignment. Now pile into the industrial cars and l launch onto a track that is all wood and all muscle. Get ready to dodge explosive wrecks and maneuver some of the most insane drops and swift turns the future will ever produce. You won’t believe how fast this wooden brute runs as it takes a series of daredevil pivots and shoots through mist-filled tunnels — just in time for more total mayhem on the track. But hey, it’s all in a day’s work for a soldier from the future. Celebrate Mother’s Day with your family at the Knott’s Berry Farm Mother’s Day Brunch, one of the largest buffets in Southern California, on Sunday, May 14th, from 9:00 AM to 6:00 pm. The expansive buffet is served at both Spurs Chophouse and Mrs. Knott’s Chicken Dinner Restaurant.. The expansive buffet includes dozens of your favorite brunch and dinner dishes, including made to order omelets, a carving station with roasted turkey and honey glazed ham, filet of salmon, and over 25 decadent desserts, plus complimentary champagne. Regular and Gold Season Passholders receive 10% off and Platinum Season Passholders receive 20% off. Walk-ups are accepted, but reservations are strongly suggested. Click here to make a reservation. Location: Check in at Mrs. Knott’s Chicken Dinner Restaurant. You may be seated at Spurs Chophouse or Mrs. Knott’s Chicken Restaurant depending on availability. Kids under 3 eat FREE! Capture a memorable photo with your family and Snoopy during the brunch. Snoopy is available for meet and greets and photos throughout your dining experience. The new thrill ride Sol Spin is now open! Sol Spin sends brave guests on a thrilling adventure over 6 stories high as they rotate in all directions on one of six spinning arms. Each arm rotates 360 degrees independent of one another providing a different experience every ride. This ride was so fun…..ya gotta check it out! Also amazing is the all new Show Down in Ghost Town VR experience. Have a Happy Mother’s Day weekend everyone! Your friends at Coaster Chit Chat! 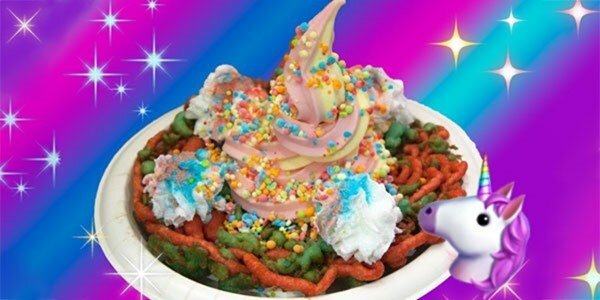 Next story Red,White & Brews at California’s Great America! Previous story Knott’s Soak City Opens May 20th Bigger and Better!